Using a walker to get around gives you a measure of independence and makes you feel more balanced and stable, whether tooling around your home or getting about town. A rolling walker with a seat is a great choice, because you always have a chair handy if you need to take a rest, or if you just want to sit and enjoy the scenery! However, for elderly people, walkers can sometimes give a false sense of security that can set you up for a fall, unless you take measures to ensure your safety. Before you take another step with your rolling walker, take a minute to review some basic safety tips and guidelines! 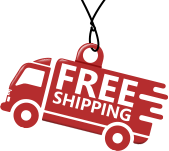 Get the Best Rolling Walker for You: Walkers come in a variety of sizes and styles, and not every rolling walker will be the best for you. Ask for assistance to get the size and model that best fits your body type, mobility level and needs. Because your walker is essential safety equipment, this is no time to pinch pennies. Look for the best rolling walker with a seat and hand brakes. A basket is an added plus, to keep your hands free while walking. Dress for Success: Your clothing and shoes should be comfortable, but avoid too-loose garments that can snag on furniture or get tangled in your brakes or wheels. Shoes should offer good foot support but not have slippery soles. Simple sneakers or slippers with a flat rubber bottom are ideal. Make Your Living Space a Clutter-Free Zone: Eliminate scatter rugs and keep pet toys in a basket. Wipe up spills immediately to prevent slipping. Eliminate or reposition decorative items that present roadblocks. When opening your folded-up walker, make sure it is completely open and locked in place. Keep the walker about one footstep ahead of you. Too much distance shifts your posture off balance. Stand up tall. Avoid leaning forward or hunching over. Look ahead, not down. Spot the floor about three to four feet ahead of your rolling walker. Only move your walker when both feet are on the ground. Do not try to go too fast…slow and steady wins the race! Stand with the backs of your legs touching the chair. Set the walker firmly on the floor in front of and slightly away from you. Center yourself over the seat of your chair. Keep your weight on your legs as much as possible. Place one hand lightly on your walker and firmly grasp the chair’s armrest with your other hand, transferring your weight to that arm. Transfer you other hand to the other armrest. Slowly sit down and slide backward into your chair. Make sure your rolling walker is locked in place. Face away from your walker and place your hands on the hand grips. Center your body and slowly lower yourself onto the seat. To stand, place your ankles directly beneath your knees and push up with your arms on the handgrips, gradually transferring your weight to your legs. Walkers come in a variety of sizes and styles, and not every rolling walker will be the best for you. Ask for assistance to get the size and model that best fits your body type, mobility level and needs. 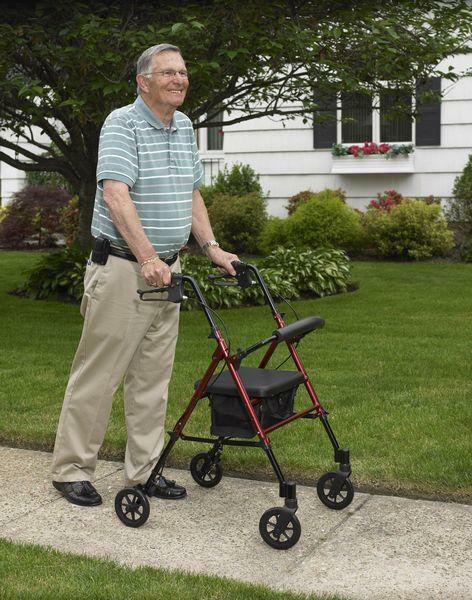 Because your walker is essential safety equipment, this is no time to pinch pennies. Look for the best rolling walker with a seat and hand brakes. A basket is an added plus, to keep your hands free while walking. When selecting your rolling walker with a seat, make sure the product you choose has the correct weight capacity. Purchasing a walker with too-low total weight capacity can set you up for a fall that may result in serious injury. Practicing these safety strategies when using your rolling walker will protect you from falls and ensure that you maintain your independence and sense of security. The professionals as certhealth.com are dedicated to providing you with the very best products for improved health and quality of life. Check our blog regularly for more tips on safety and optimized lifestyle.